Access SupplyChain is supply chain management software produced by the Access Group. The Access Group is a member of BASDA and a Microsoft Gold Certified Partner. The products of this company are accredited and certified by authorities in the software development industries like the Institute of Chartered Accountants in England and Wales and HM Revenue & Customs. The company’s Access SupplyChain has helped more than a thousand manufacturing and distribution companies in the UK. Access SupplyChain is manufacturing software that can aid companies in decreasing costs, managing waste and enhancing production quality. It possesses key functions for MRPII, trace-ability, supplier control and capturing shop floor data. One of the key features of this supply chain management software is its effective integration of sales and billing. It provides templates necessary in creating quick estimates, placing specific client prices and making calculations to bring you repeat orders. It evaluates in detail reports of margins and budget, cost history, prices and price breaks. 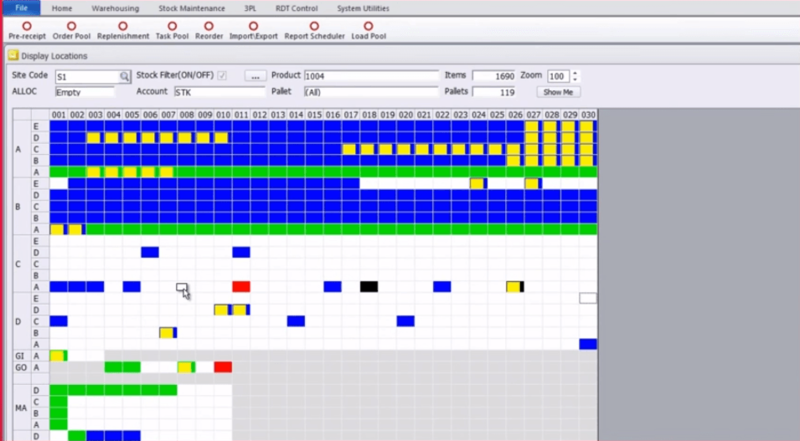 Avoid overstocking or under-stocking with the modified tool for managing schedules embedded with this supply chain management software. Additionally, it alerts you during back-to-back ordering and send out warnings for just-in-time orders. It also provides tools that can be easily integrated and configured for tracking your supply chain’s key performance indicators. Learn everything you need to know about Access SupplyChain. Our experts will reach out to you shortly.